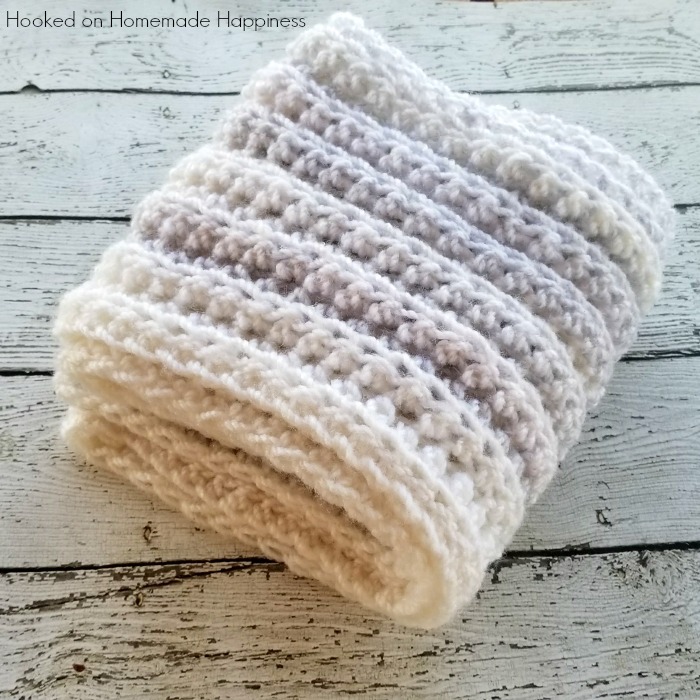 This easy pattern turned out to be one of my favorite scarves! 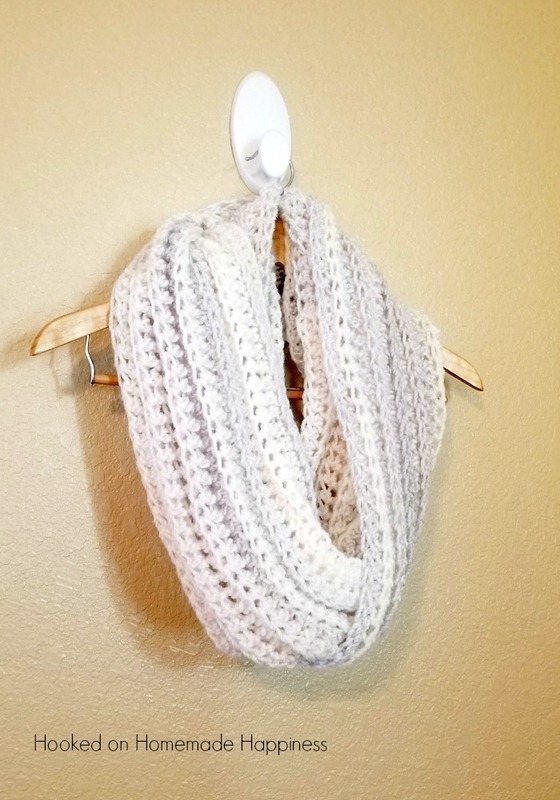 The Arctic Infinity Scarf Crochet Pattern is soft, squishy, and textured. You can see all the texture in this close up of the scarf. I used one of my favorite techniques, crocheting in the back loop only of a stitch. 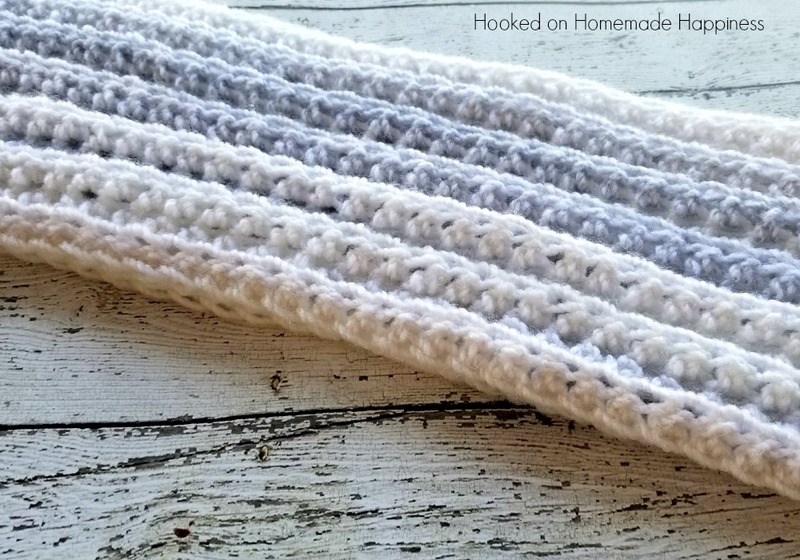 Instead of inserting my hook into both top loops of a stitch, insert only in the back loop and you can create this pretty ribbed texture. I use it all the time with hats and scarves! I really love the subtle colorway of this yarn. I used Loops & Threads Barcelona in Arctic. It’s white and cream, but if you look closely or in the sun you can see the pinks, purples, and blues mixed in. It’s so gorgeous! 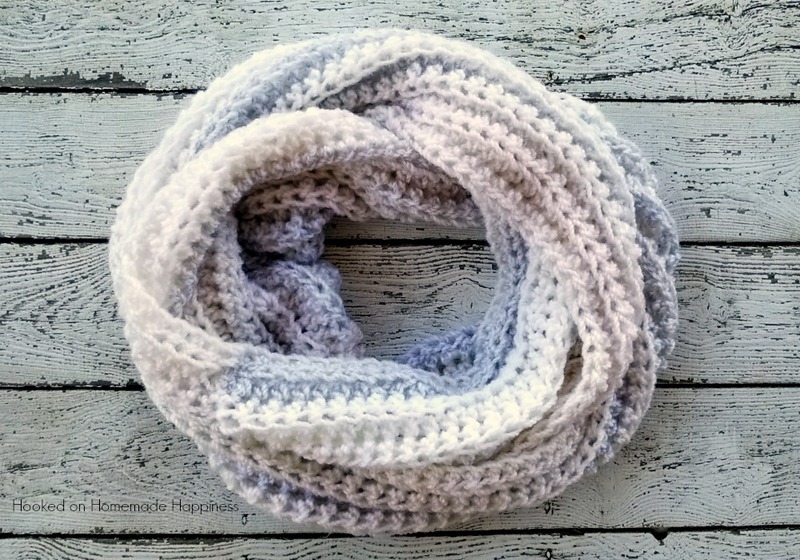 The scarf is made in rows, and then the ends are sewn together to make this an infinity scarf. I’ve just finished a scarf like your Arctic one. It’s so fluffy!!! I love it. I just finished making this and it’s gorgeous. 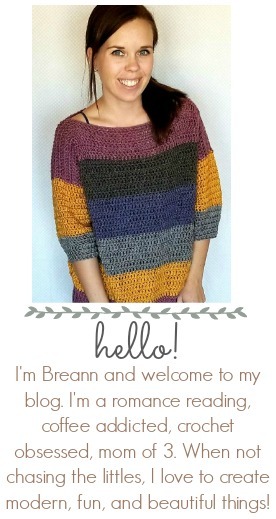 I used the same yarn that you did. Thanks for the beautiful pattern! How would this be to use size 3 Mandala yarn? Would it look okay? Also would I need more then 1 skein? I found I had to do a foundation HDC so I could get the stated length of 74″ using the 10 mm hook.